Video: Mr. Gurry received the instruments of accession from Mrs. Repeta Puna, Director of Governance, Ministry of Cultural Development - Watch on YouTube (Photo: WIPO/Berrod). 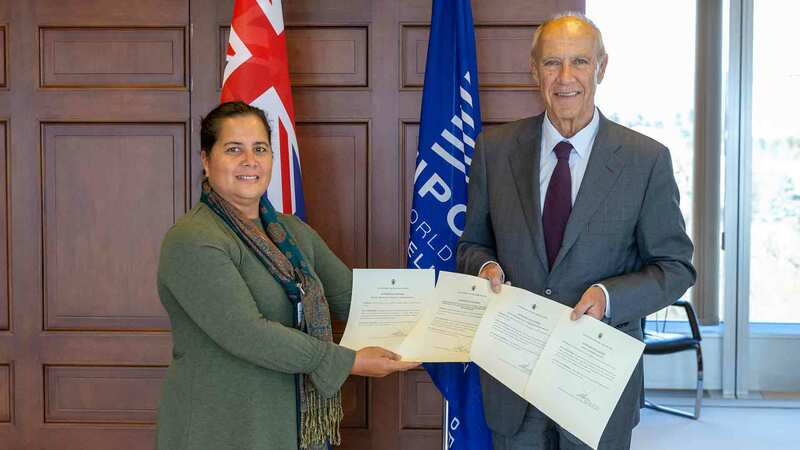 The South Pacific island nation also joined the Marrakesh Treaty to Facilitate Access to Published Works for Persons Who Are Blind, Visually Impaired or Otherwise Print Disabled, becoming the 55th member. The Marrakesh Treaty now covers 82 countries owing to the recent accession of the European Union. It will enter into force for the Cook Islands on June 19, 2019. The Cook Islands also joined WIPO’s so-called “Internet Treaties” - the WIPO Copyright Treaty (WCT), and the WIPO Performances and Phonogram Treaty (WPPT), becoming the 101 member of each. The WCT and the WPPT will enter into force for the Cook Islands on June 19, 2019.